Dated: Week of Oct 27 to November 2. Alfred Hitchock cover. 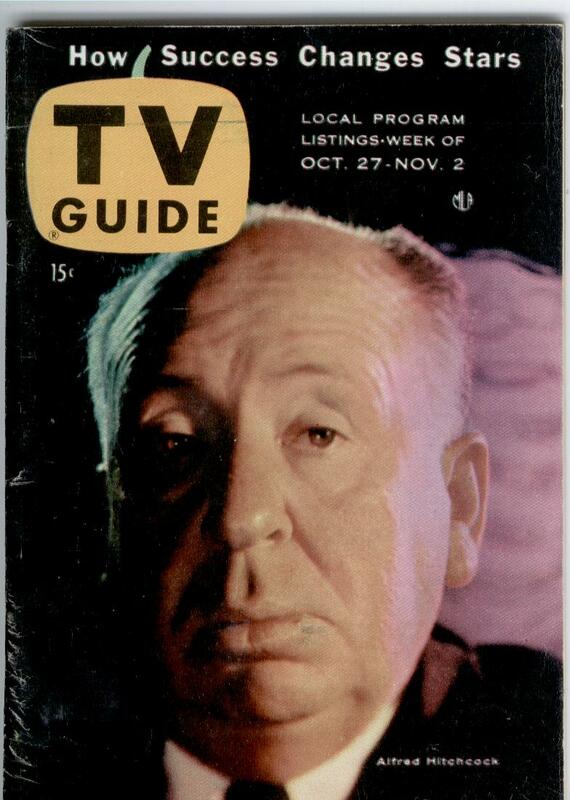 Articles on Alfred Hitchcock; Harry Morgan & Wife in Congo; Arlene Francis. Picture story on MAry Martin. Book is in very nice condition. Inside very crisp and no tears or marks. This is a Wilkes Barre, Pennsylvania Edition. Tv Guide comes in protective bag with backingboard.